The cooling system in an engine has five components: the radiator, the radiator cap, the hoses, the thermostat and the water pump. The water pump is literally the heart of the system. Just as your own heart keeps your blood circulating through your body, the water pump keeps coolant circulating through your engine. The water pump is driven by a belt, chain or gear and only operates while the engine is running. It has a limited life span and sooner or later will have to be replaced. You can check your owner’s manual to find out how long your water pump should last. Some can fail at only 40,000 miles, but almost all of them fail by 100,000 miles. Water pumps can fail in two ways; they can spring a leak or their bearings fail. Leaks can come from a cracked pump but usually develop at the gasket where the pump attaches to the engine. If you hear a low-pitched grinding sound coming from the water pump, it’s time for a new one. If you see coolant leaking in the area near the pump, it needs to be replaced. Also, coolant on the driveway could indicate water pump failure. Many water pumps aren’t visible because they’re under a plastic cover, so you may have to take your vehicle to an auto repair shop to know for sure if the water pump has failed. If your water pump is run by the timing belt, then it should be replaced when you replace the belt. Most timing belts need to be replaced at around 60,000 to 90,000 miles. The labor for replacing a timing belt is about the same for replacing a water pump, so it’s cost-effective to take care of them both at the same time. Also, if your water pump develops a leak (if it’s powered by a timing belt), you have to replace the timing belt as well since contamination by coolant fluid damages the belt. It just makes sense for drivers to replace both of these parts whenever either one needs it. Replacing a water pump is a car care issue that almost all of us face eventually. They don’t last forever. On the other hand, we can extend the life of most of the components of our vehicle through preventative maintenance. 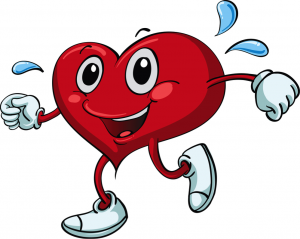 Just as exercise and diet keep our heart healthy, regular inspections and fluid changes will keep our vehicles healthy.